Last weekend was another successful Denali training weekend, again in Snowdonia. On the Saturday, we took the path from Llanberis up to the summit with 30 kilo packs. I was wearing my RBH Designs VaprThrm vapor barrier socks for the first time with my Millet Everest GTX boots- my feet were toasty! Still, with the heavier packs we still ascended faster, making it to the summit in under three hours. A curious phenomenon occurred at the summit: people had started to form a single queue to ascend the man-made summit platform. Observing that most people were stopping to savour the view and take photos, I asked the queuing folk if they minded me going up and back down, to which the first couple of people said sure, they would follow me up the outside of the steps, but then I was rebuked by a lady who said that everyone else was queuing, and then by a man who claimed that taking a single further step would certainly push someone off the mountain! 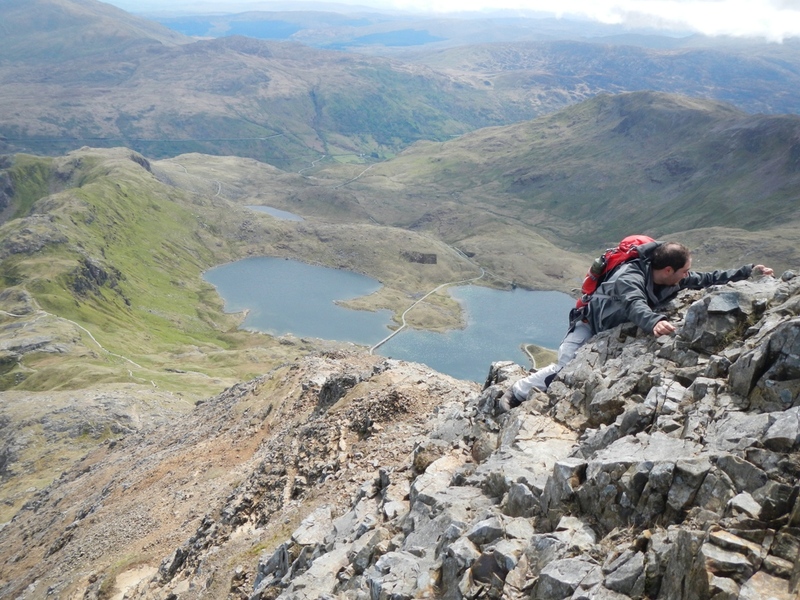 I was shocked- it seems Snowdon is more akin to a supermarket checkout than a true summit. I walked the last few steps on the outside edge of the steps without displacing or delaying anyone, turned heel and walked back to the cafe, thoroughly deflated by my encounter which was unlike the usual friendliness found in the hills. 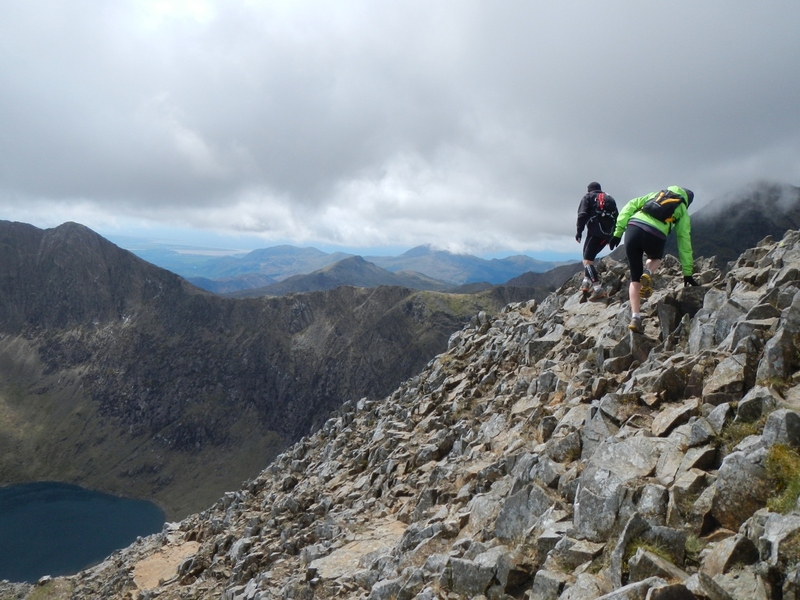 Sunday was a much more exciting day: Snowdon again, but running the Snowdon Horseshoe. Furthermore, no 30 kilo pack! The weather forecast was foreboding- gusts of 40-50mph wind, picking up to 60-70mph by the end of the day. We started at Pen-y-Pass, winding our way slowly up towards Crib Goch. Near the top, I found a grown man laying prostrate against the rock. He had taken an unnecessarily exposed route up, and it turns out he had a far of heights! The poor chap had come quite far, but had lost the nerve to keep going the next few metres. His friends told us he had been in that position for 15 minutes already! I suspect he ended up backing off the route, having to negotiate a bit of down-climbing. Once on the ridge itself, we could feel the gusts of wind whipping us, trying to peel us off the tops. We ran across exposed sections in lulls between gusts. We continued round past the summit, finishing the loop around the horseshoe, and bumping into a few groups of walkers and scramblers all having a great time on the ridge. The fast-moving wind cast many shapes over the lakes. It really was spectacular! 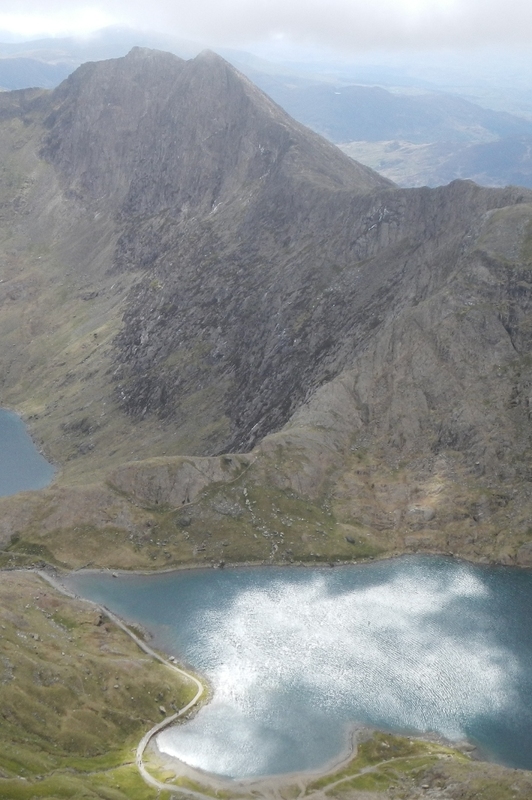 This weekend I ascended Snowdon for the third and fourth time in a month, but I have been up the Llanberis Path, Pyg track, Miners, and round the horseshoe. Each path brought with it different scenery and terrain. However, I think I really should choose somewhere different for my next training session!